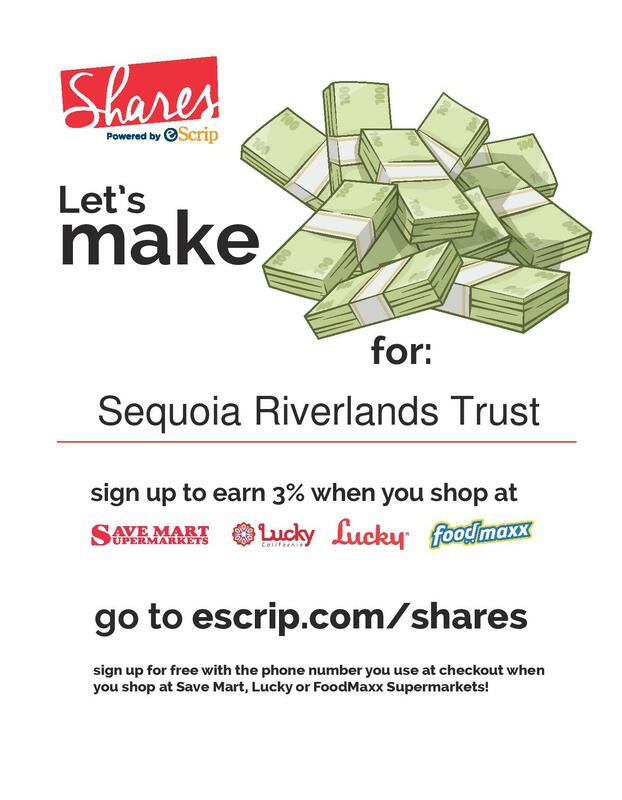 If you are an SRT member, you likely have a SHARES card you can use when you shop at SaveMart groceries. When you shop with the card, the company sends SRT and other not-for-profits a percentage in donation. But starting April 1, SaveMart is discontinuing the SHARES card and converting to an on-line system. Instead, if you want to continue helping SRT while you shop, you will need to go to http://www.escrip.com/shares/ and set up an account designating SRT as your charity of choice. Once you sign up, you earn up to 3% of your purchase amount for your favorite school or not-for-profit. The site will ask for your phone number and you'll give that when you check out if you want the purchase to count toward your contributions. The SHARES card has meant a great deal to SRT, so we hope you will sign up soon for this program, and help us continue in our work. Thank you!